“It’s come as you aren’t night,” she says. I love that line, because it resonates with me. 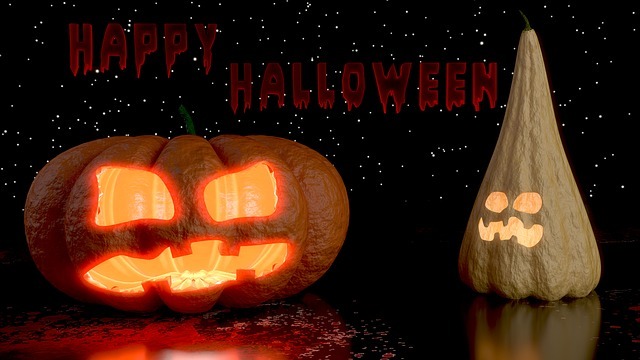 Halloween is the night it’s acceptable for anyone and everyone to try on a different skin. (Though not literally.) One night a year, we pretend to be someone, or something, we’re not. As an author, one of the hardest and yet most rewarding parts of writing is inhabiting different and varied characters, getting into their heads and looking out through their eyes (or whatever sensory organs they possess). It gives us the chance to explore what it’s like to walk in someone else’s shoes, to find the places where we are different, and those where we are the same. 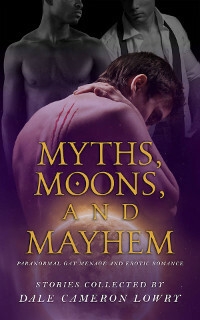 In my story ‘The Endless Knot” in the new paranormal erotica anthology Myths, Moons, and Mayhem, I got to be a reserved vampire politician, the gruff werewolf who loved and lost him, and the passionate human who brings them back together. Three very different men who find they fit together perfectly. 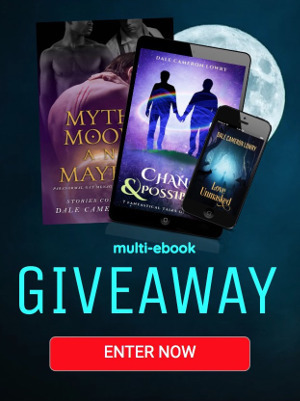 Like the choice of costume says a little bit about the wearer, so too do characters express something about their author—if only who they are when they’re not entirely themselves. 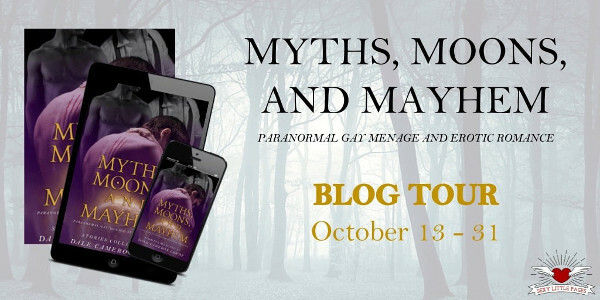 To celebrate the release of the paranormal gay ménage anthology Myths, Moons & Mayhem, editor Dale Cameron Lowry is giving away a bunch of paranormal and ménage ebooks for your reading pleasure. Seriously, I teared up at the end there, Morgan. You got to a truth about writing that I’ve never heard anyone get at so precisely. Brava!